As expected junior middleweight Vanes “The Nightmare” Martirosyan 36-3-1 (21) has landed in the opposite corner against undefeated middleweight wrecking machine Gennady Golovkin 37-0-1 (33) at the StubHub Center in Carson, California on May 5. The WBC, WBA and IBF middleweight champion was scheduled to rematch Saul “Canelo” Alvarez 49-1-1 (34) on the same date in Las Vegas, Nevada until the Mexican superstar was forced to withdraw after testing positive – twice – for the banned substance clenbuterol. The 36-year-old Golovkin, originally from Kazakhstan but now based in Los Angeles, California, has continued his training camp since Alvarez’s dirty test results were announced. “Gennady has had such a terrific training camp in Big Bear. It wouldn’t be fair to him to let it go to waste just because Canelo was being punished. Gennady is going to light up Cinco De Mayo as only a true Mexican-style fighter can. 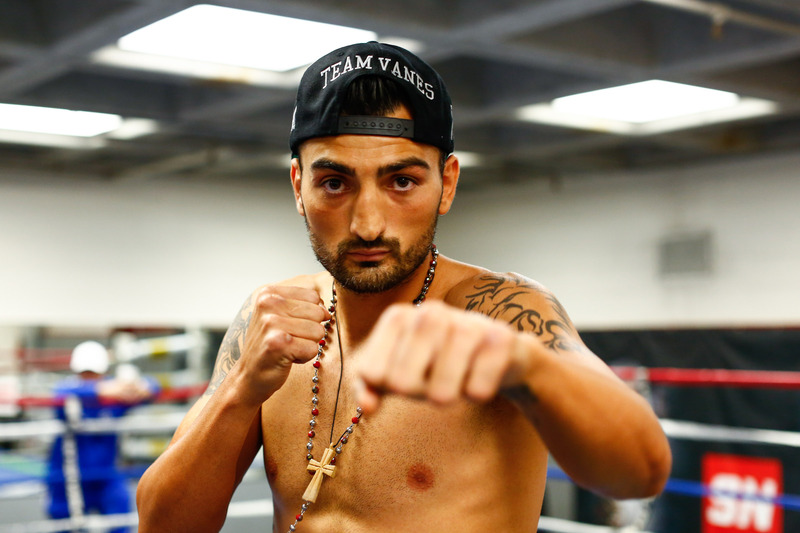 I can’t wait to unleash him,” said his trainer Abel Sanchez. Despite the announcement coming little more than two-weeks ahead of fight night, Golovkin’s promoter Tom Loeffler is adamant that with Martirosyan hailing from nearby Glendale the fight will go close to a sell-out. “We are adding extra bleachers to accommodate the demand from Gennady’s fans. We are prepared for Gennady to break his own StubHub Center attendance record for a boxing event, which he set in 2014,” said Loeffler.